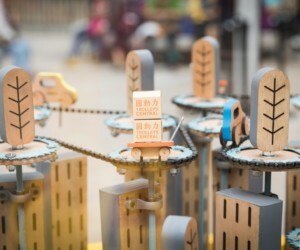 Hong Kong is known for its multicultural culinary scene, whether it’s finding the most exotic halal restaurants and French restaurants or locals’ favourite Cantonese hot pot restaurants – there are always numerous options. And everyone fancies a good weekend brunch, for it’s even more relaxing and perfectly sinful with fried goodness. So here we present you, the best brunch in Hong Kong, enjoy! The Conrad does brunch up right with its amazing Champagne Brunch on the Eighth. Spread across the whole 8th floor (between Nicholini’s and Brasserie on the Eighth) you’ll want for nothing at this luxurious spread. From the seafood station to the Chinese kitchen and the wonderful antipasto garden, there’s something for everyone, even us pesky vegetarians! And if that’s not enough, you can order unlimited a-la carte dishes like lobster eggs Benedict and fish & chips. Throw in free-flow Perrier-Jouët and a bar that makes a selection of cocktails, and it’s pretty much perfection! Read our full thoughts on Champagne Brunch on the Eighth here. 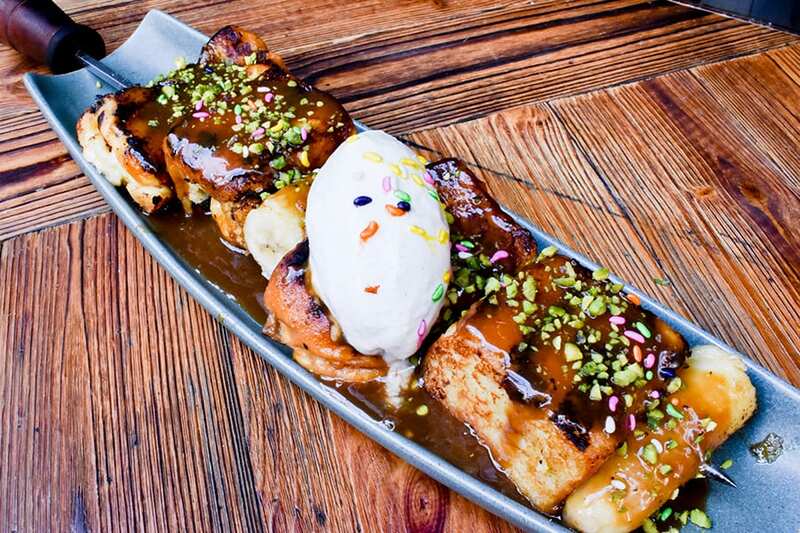 Situated in Shek Tong Tsui, kebaberie and taproom Salt & Barrel offers an exciting brunch menu that features the mouth-watering Banana Foster French Toast and Vegan Chickpea Waffle that replicates the traditional chicken and waffles. It’s definitely one of the best brunch in Hong Kong for vegans and meat eaters alike. Can you handle the nine-course brunch at Olé? We’re head-over-heels for the 20th anniversary brunch at Spanish restaurant Olé. 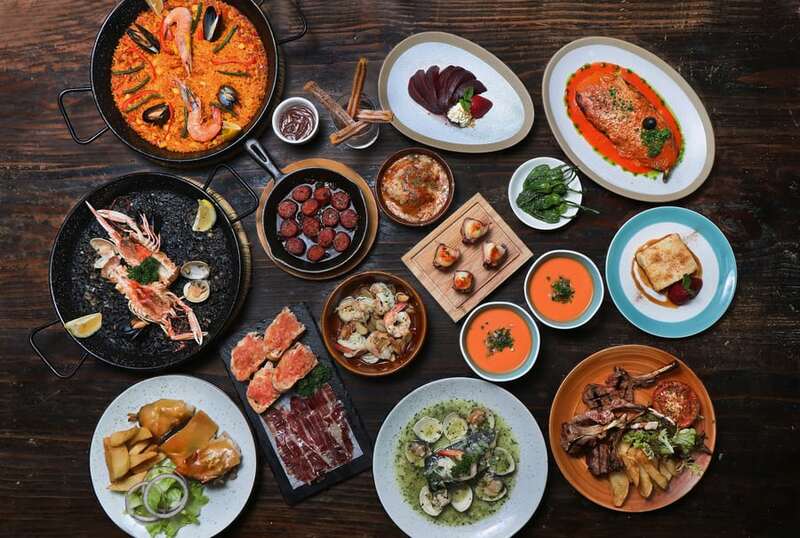 Featuring the greatest hits from the kitchen over its twenty years in Hong Kong, you can indulge in a wonderful selection of tapas before choosing your own main and dessert. The fact that you are serenaded by live guitars during the course of your meal only makes this brunch even sweeter. The price point is fantastic too, at just $380 plus $150 for free-flow sangria and cava. This might just be the best brunch in Hong Kong. Olé for Olé! Read our full review on brunch at Olé here. 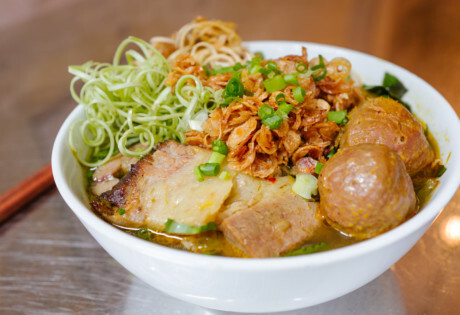 MEATS in SoHo serves perhaps the perfect cure for hangovers in Central on the weekends. 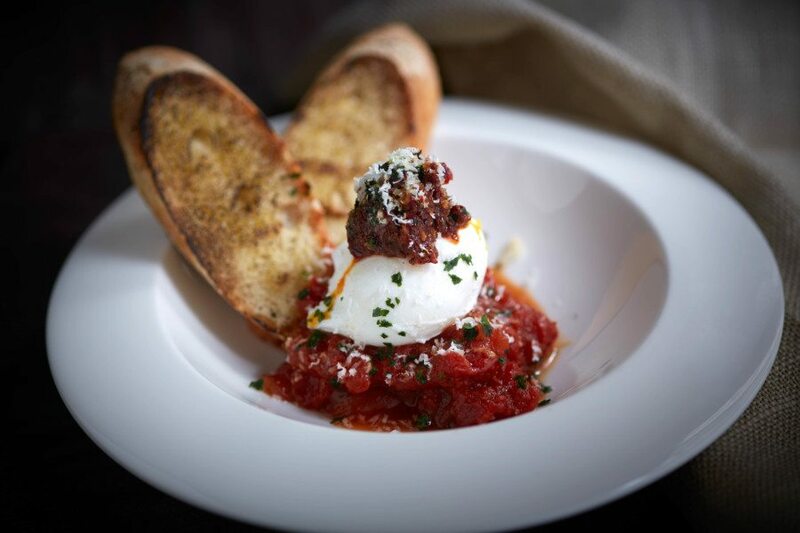 Guests can order from the a la carte menu, or opt for the Set Brunch ($290), which comes with two starters, one main, one side, one dessert and a glass of either beer or wine. Mains include the exclusive Chicken Waffle topped with hot Tabasco honey, smashed avocado and spring onions, while the a la carte menu features dishes such as crispy smoked pork belly, jalapeño sausage, a slow cooked egg, ugly potatoes and homemade béarnaise sauce. With its relaxed atmosphere and indoor-outdoor seating, even the kids will be happy with the Kids Brunch Menu that includes Chicken Schnitzel with Fries, Mac’n’cheese or Mini Burgers with Fries. Know for offering creative and artisanal sandwiches original to the city, local sandwich eatery Bread & Beast is happy to announce its pet-friendly weekend brunch. 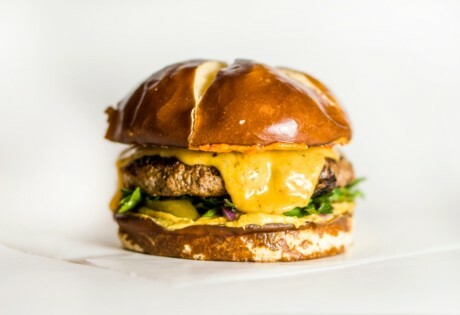 From healthy and low-carb Buddha Bowl with cauliflower rice ($138) to the indulgenet Chuhao Brisket Croissant(HK$158), Kentucky San Burger ($148) and Bourbon Caramel Banana Ricotta French Toast ($118), customers won’t be disappointed by its decadent healthy options and pet-friendly casual atmosphere. The menu is available on Saturdays from 10am to 3pm and Sundays from 10am to 4.30pm. Looking for the best brunch in Hong Kong? The team at CÉ LA VI is upping the brunch game with a new brunch experience available every weekend from 12-3:30pm for ($498). This luxe brunch kicks off with a Seafood, Sushi and Sashimi platter, along with a Create Your Own Salad option for those who want to keep it healthy. Mains can be shared or enjoyed individually, with options including Seared Snapper, Chicken Teriyaki and faithful old Eggs Benedict. When it comes to drinks, you have free-flow options: Veuve Clicquot (+$298), Veuve Clicquot Rosé (+$398) or Dom Pérignon (+$1,988), PLUS three cocktails to spice things up. Sour Cherry Margarita, anyone? 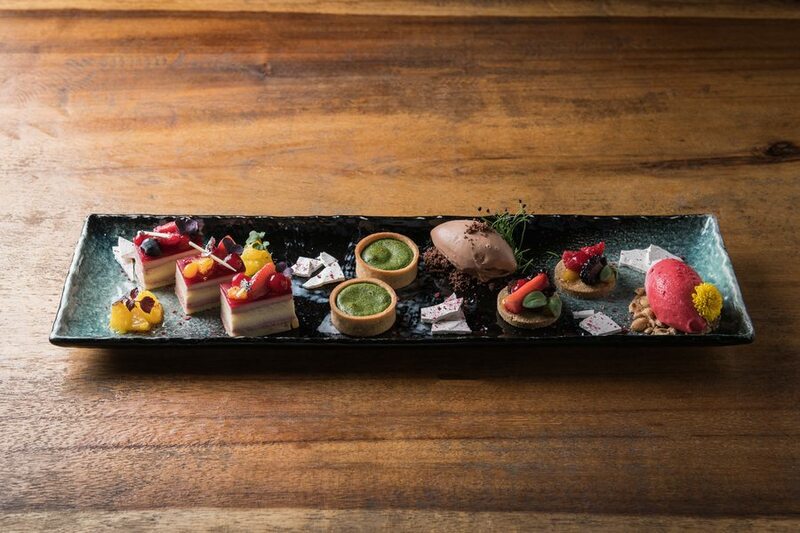 Finish off with a sweet platter, updated regularly by Pastry Chef Andi Ching (think molten matcha tarts with 64% valrhona chocolate ice-cream, refreshing fruity cheesecakes and more) and you will be all set to tackle the weekend, or possibly retire to the couch. 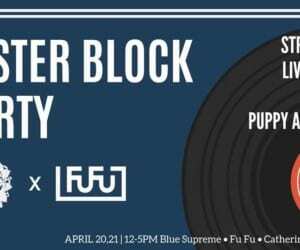 If you love listening to live music while you throw back your champagne, then Blue’s brunch ($450 +10%) will be right up your alley. 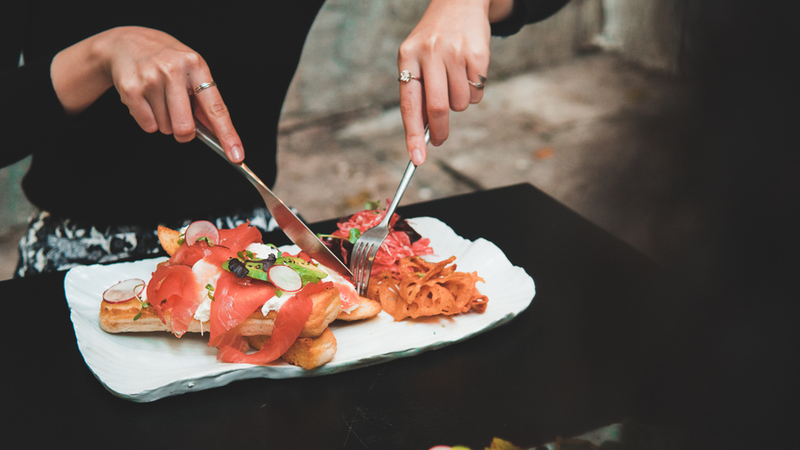 Start off with the buffet station that features salads, seafood, cheese and charcuterie before choosing your main, such as The Butchers Burger, Pan Seared Salmon or Wild Mushroom Cavatelli. Of course, no brunch is complete without lashings of dessert, and the offerings at Blu include a live pancake station (mmm!) along with a selection of freshly made cakes and pastries. 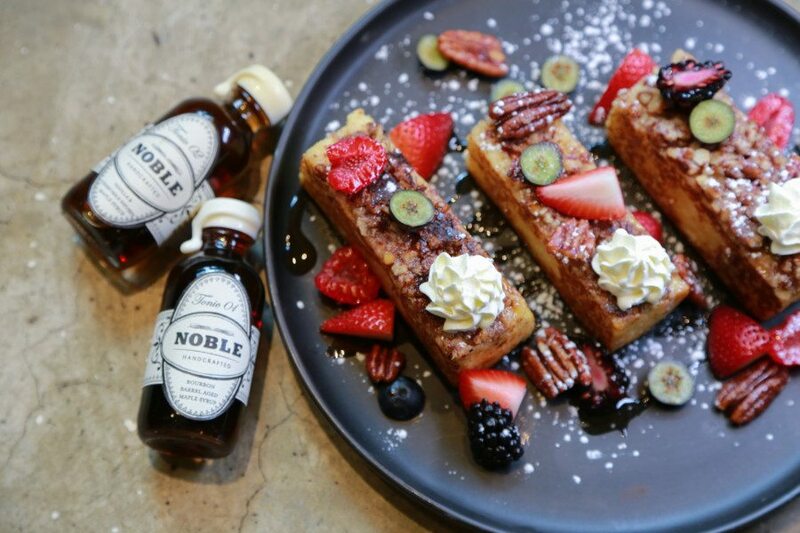 Add on $345 for free-flow and take brunch boozy with a package that includes Perrier Jouet NV Champagne, Lapostolle Merlot, Lapostolle Sauvignon Blanc, Acai Sour, Blue’s Aperol and House Draft. Like to do brunch a little differently? Happening on the last Saturday of every month, Buenos Aires Polo Club hosts one of the most lavish, exciting and high-energy brunches in town: The Fiasco. 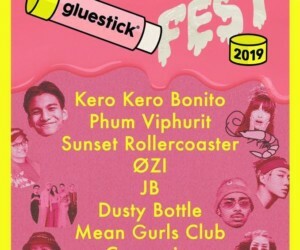 This gangster-inspired brunch (expect extravagant entertainment, an abundant family-style menu, generous free-flow prosecco and house wine) features live entertainment and gun fights along with loads of old school New York-style pasta and of course plenty of booze to go along with the madness. The Fiasco is definitely vying for the title of best brunch in Hong Kong. If you can’t make it on the last Saturday of the month, their typical brunch menu ($398 Club Brunch, $588 with coffee, tea and soft drinks and $788 with champagne, house red and white wine, draught beer) is also a looker, Japanese eggs, Argentine Black Angus Prime Rib and many more. All Beef & Liberty restaurants across the city serve a huge brunch menu that is perfect for both omnivores and vegetarians alike. Indulge in tasty treats such as classic avocado toast with ricotta, a breakfast burger, Beef & Liberty English breakfast or yoghurt and berries. 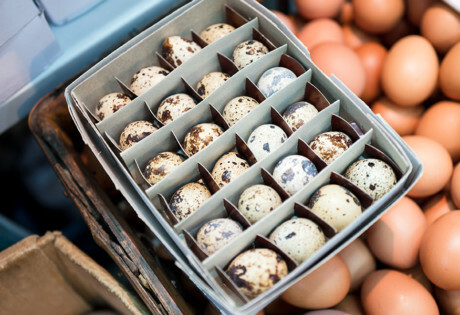 Side dishes include Scotch eggs (a must try! ), cheese and beets and an indulgent bread n’ butter pudding. 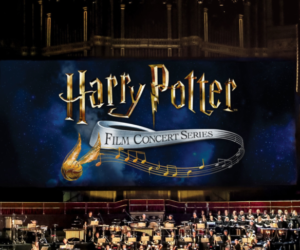 We recommend washing it all down with an Autumnal lemonade or a cheeky Bloody Mary, alternatively, you can add free-flow for one hour ($108) or two hours ($178). 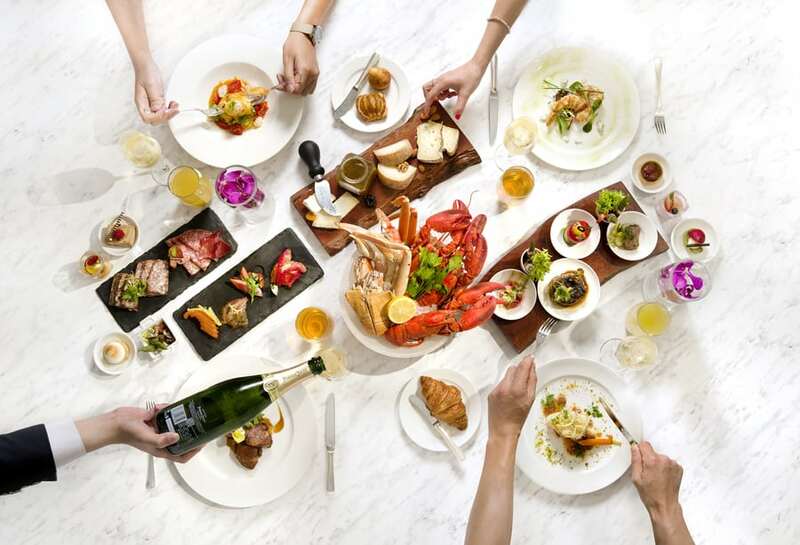 We like the fact that B&L ditched the usual buffet style, making it one of the best brunch in Hong Kong. Served every weekend at The Envoy in Central, this all-you-can-eat brunch is full of colonial-inspired delights. 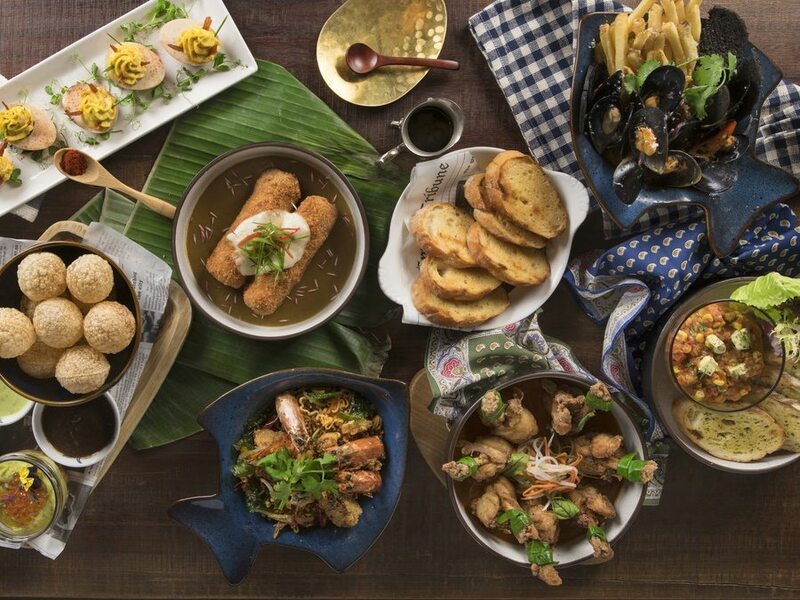 For $288 + 10%, enjoy small plates, such as Butter Chicken Lollipop, Spicy Sambal Popcorn Shrimps, Slow-Cooked Pork Belly Bao, Sir Pottinger’s Squid Salad, the “Nine Vegetables” Ragout and the Numbing Vegetables. Big plate options include New School Fish & Chips and The Classic Weekend Roast, and it’s all available between 12-4pm. Plus, for an additional $228, guests can add on free-flow wine and champagne. That’s why we think it’s one of the best brunch in Hong Kong. 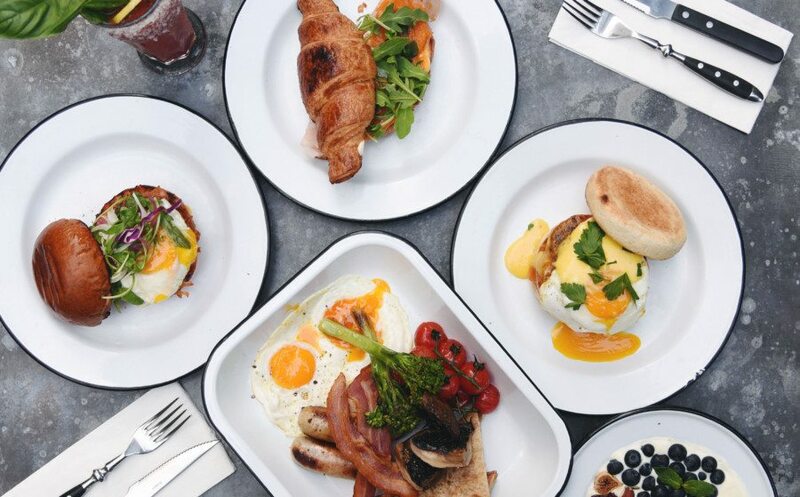 Are you wondering where to find the best brunch in Hong Kong? Fang Fang’s Asian Brunch Fiesta is served every Saturday between 12-3pm, guests can enjoy an unlimited supply of tasty delights for $398 per person for food. Start with seafood and DIY salads before moving on to delicious dim sum and grilled items. Plus, there’s a supervised area for the kids so that you can enjoy the Bloody Mary station. 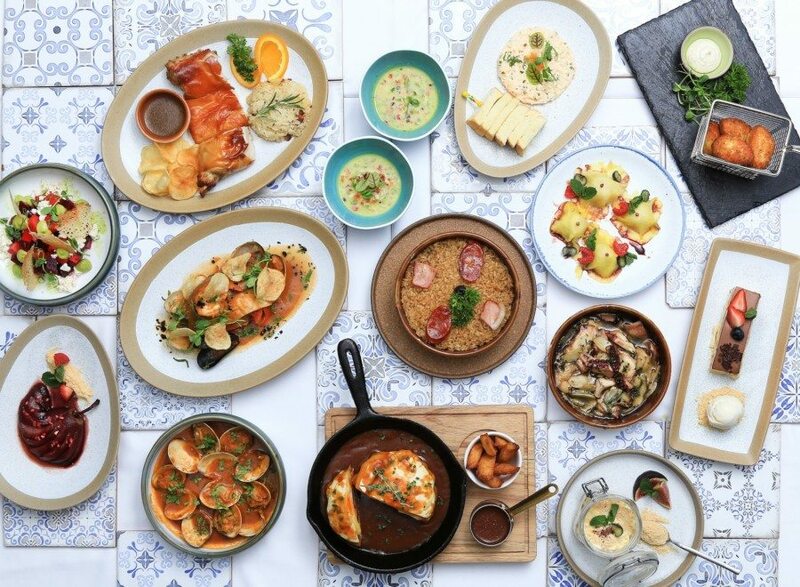 Home to contemporary Portuguese cuisine, Casa Lisboa is home to brunch on Saturdays, Sundays and public holidays. For $350 per person, guests can enjoy six starters – featuring classics like gazpacho and Codfish cakes, followed by a choice of main. Chase it all down with a sweet treat, such as Pineapple, Vanilla Ice-cream & Pistachio Sponge Raviolis, and you will be all set to take on the weekend. For $495 plus 10% per guest, the all American brunch at Lily & Bloom includes a buffet selection of hot appetizers along with a choice of main and free flow drinks. The buffet section features healthy salads, a seafood bar and a new pastry and cereal corner, while guests can choose mains such as Eggs Benedict, Croque Madame or Brioche French Toast with candied pecans. Guests can enjoy free-flow Bloody Mary or Wyndham Cup cocktails by Head Mixologist John Nugent or add an additional $100 for free-flow Veuve Clicquot Ponsardin Brut and house red and white wine. We are big fans of the brunch at Al Molo, thanks to its excellent value, delicious menu options and view of Hong Kong Harbour. 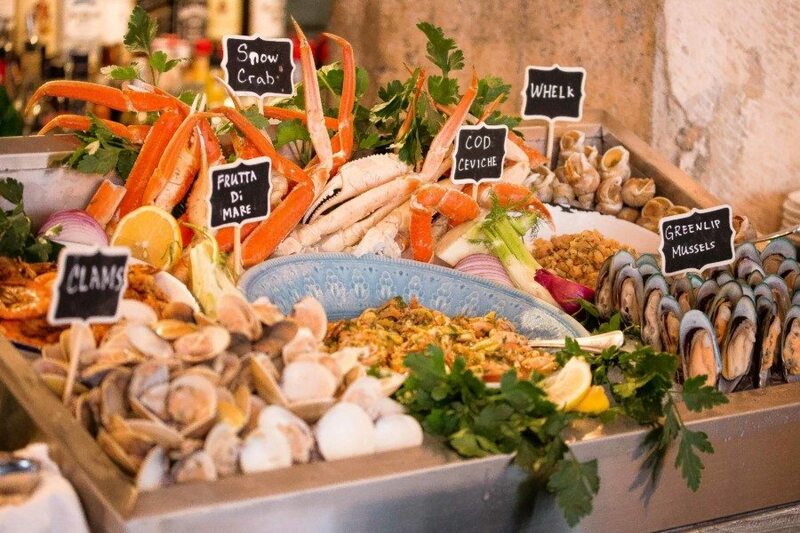 For just $348, guests can get their fill of the salad buffet which includes a selection of meats, breads and some of the finest cheeses in town. Then, select a main dish from the Italian menu and enjoy some down time with friends. If you want to add free flow, it’s only $158! 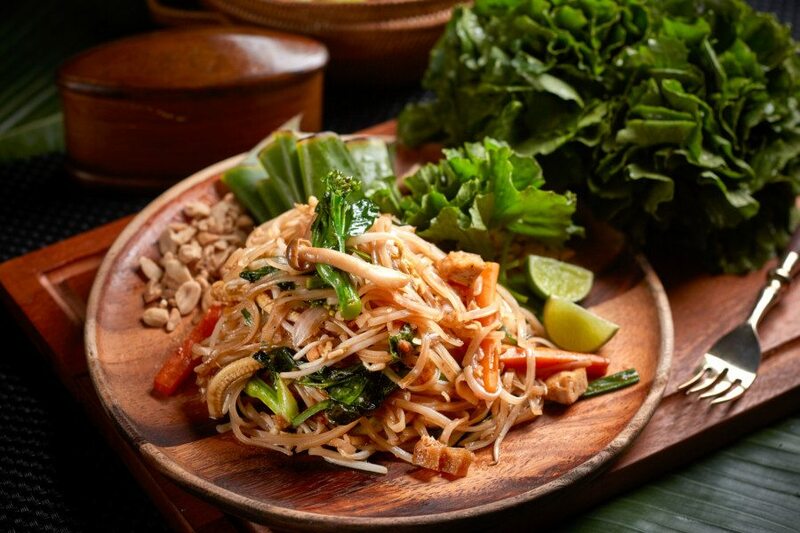 One of the tastiest brunch offerings in town, Mak Mak serves up a range of non-stop Thai cuisine every Saturday and Sunday. For just $298 per person – including free flow soft drinks and mocktails – diners can enjoy classic specialities such as green chicken curry, tom yum goong and pad Thai along with an assortment of tasty starters. Upgrade to free flow Veuve Clicquot champagne, Aperol Spritz, house wines and Singha beer for $498. Looking for somewhere to enjoy pasta, pizza and prosecco on the weekend? Look no further than FINI’S. For only $99, add the restaurant’s buffet to any order of pasta, two slices of daily pizza special, secondi or grilled pizza wrap, or feast on a host of scrumptious delights from the antipasti and fresh seafood buffet for an additional $199. Free flow prosecco, Peroni or Bloody Marys can also be added on for $99 each. 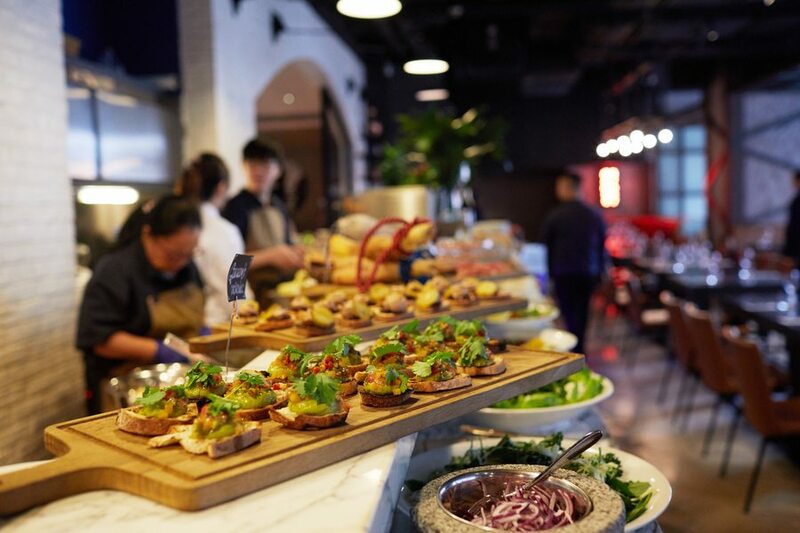 A long time Sheung Wan favourite, 208’s buffet brunch is $208 for unlimited helpings of antipasti, seafood, salads, cheese and dolci, or $338 for the buffet and a choice of main course. 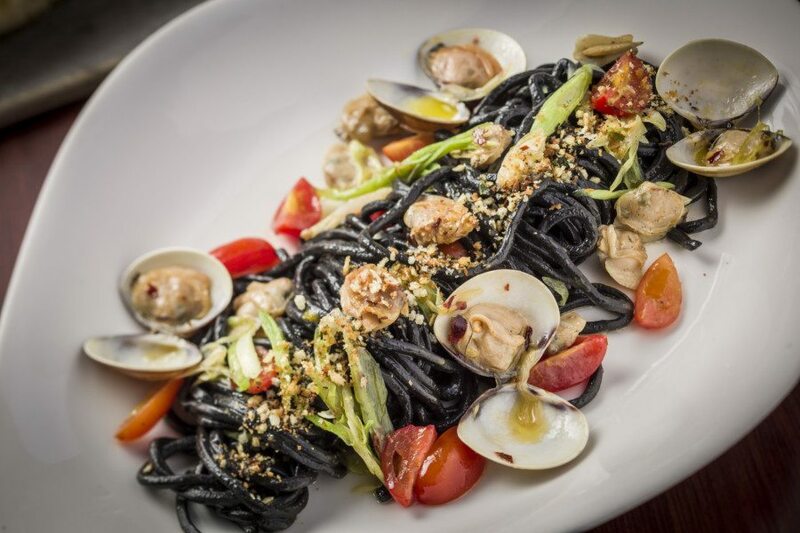 The restaurant serves up a delicious Italian inspired menu including homemade pasta and pizza, and free flow alcohol packages start at just $180 per person. 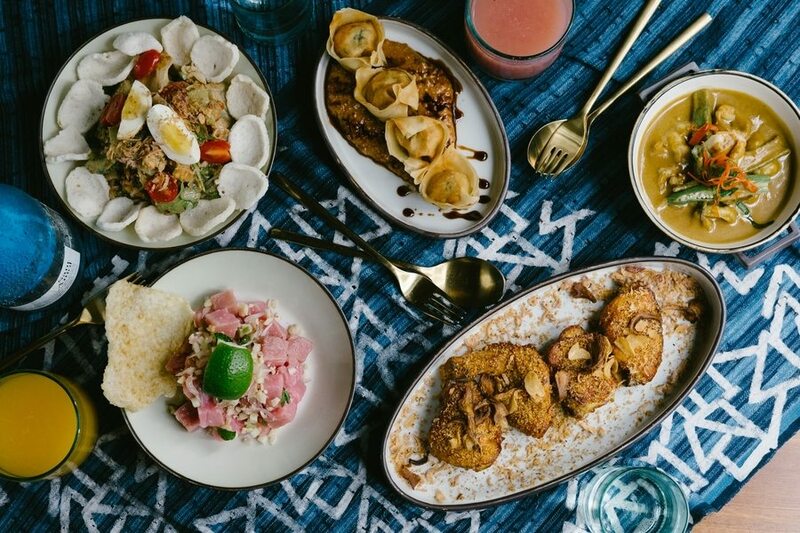 The Indonesian-inspired brunch at Kaum is a taste sensation that is sure to kick off your weekend on a good foot. For just $398, sharing portions of delights such as gado gado, poached scallop with coconut and lime, and nasi goreng are served to your table, with diners enjoying unlimited portions of small plates and a choice of a large plate plus veggies and dessert. You can upgrade to free flow booze for just $195 too, including Perrier-Jouet Grand Brut and Indo Bloody Marys. 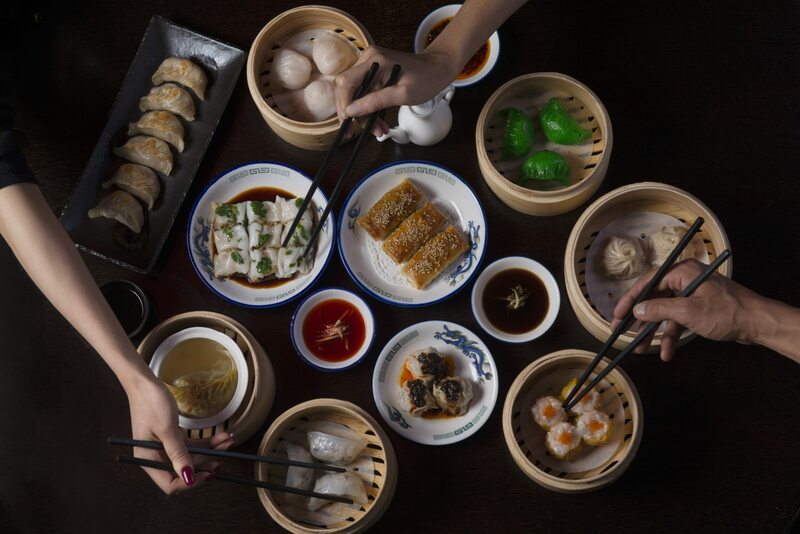 On Saturday’s, Dragon-I – one of Hong Kong’s hippest venues – offers its weekend dim sum brunch. From 12:00-3:30pm, guests can enjoy all-you-can-eat dim sum and free flow Moët Ice Impérial, house beers, house spirits and house wines. Priced at $550 + 10% service charge, this is the spot you want to hit if you are looking to do some celeb spotting. 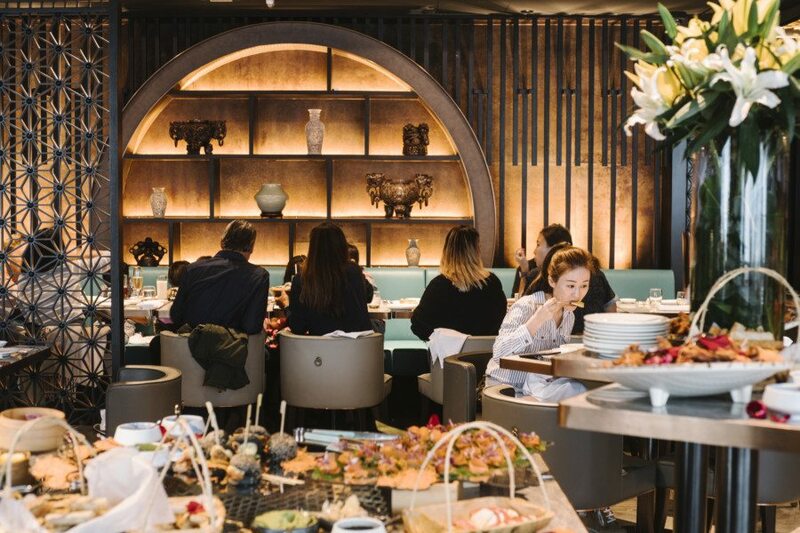 Taste the flavours of Beijing and Sichuan cuisine at the Feng Wei brunch at Hutong. 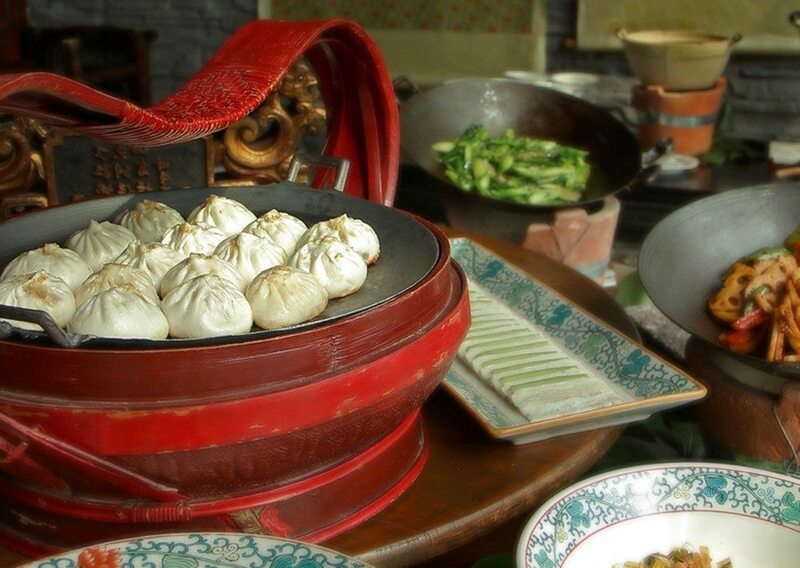 For just $498 per person, guests can enjoy the dim sum buffet plus a selection of main dishes. Watch as the master chef prepares fresh noodles as entertainment, and enjoy the stunning views of Hong Kong Harbour. One of the best brunch in Hong Kong for dim sum lovers. These spots get our vote for best brunch in Hong Kong, so be sure to check them out soon. 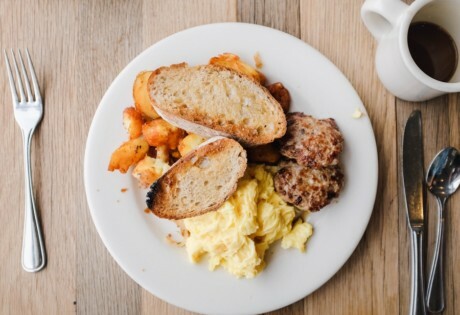 Can’t wait to try the best brunch in Hong Kong and looking for more? 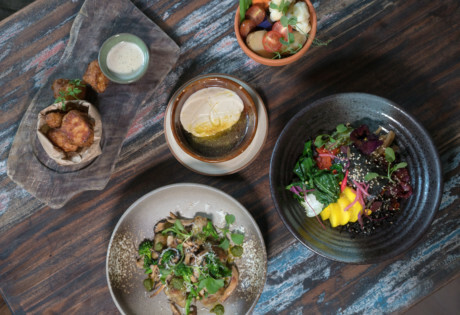 Check out these much beloved vegetarian restaurants in Sheung Wan, treat yourself a slice of pretty cake at VIVE Cake Boutique or sample the most popular street food in Hong Kong.